Fitzalan House Veterinary Group is an RCVS Accredited Practice. What does this mean? What do we do in an Emergency? Where do we go in an emergency out of hours? Even when our clinics are closed we have a skilled veterinary team available to assist your pet 24 hours a day, every day. 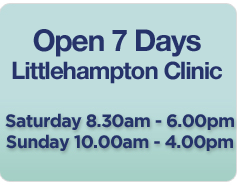 We have teamed up with PetCare Veterinary Clinic in Rustington to provide a comprehensive out-of-hours emergency service. We are the only local practice who will see your pet locally in an out-of-hours emergency and not refer you to Worthing, Chichester or beyond. A shared computer system means that the vet on call will always knows your pet’s full medical history and details. EMERGENCY SERVICE HELPLINE: 01903 713806. What happens to your pets in our hospital when the surgery is closed? Fitzalan House in Littlehampton is the only local practice in the Littlehampton, Rustington, East Preston and Angmering areas to have a fully qualified Veterinary Nurse living on the surgery premises all year round to monitor inpatients. We have a large rear garden in which we exercise all canine inpatients and feel that allowing them to stretch their legs and sniff the air often gives our patients' spirits a significant lift during periods of illness. Home Visits - we are more than happy to visit pets at home, but we cannot bring all our surgery equipment with us and would recommend coming to the surgery whenever possible. Some patients may be more difficult to examine at home because they are protecting you or even because there are plenty of places to hide. Poor lighting, unsuitable examination surfaces and the absence of qualified nurses to assist in handling your pet may delay diagnosis and treatment. If transport is a problem, we can recommend services able and willing to transport pets to the surgery. In an emergency it is almost always best to transport casualties to the surgery as this is generally the fastest way to see the vet, who will be busy seeing other clients and patients, and our life support equipment will be ready to hand. Please always telephone first - we can get vital equipment ready and advise you what to do. If my pet has a really complex illness does Fitzalan House Veterinary Group have specialists on hand to help? Fitzalan House employs five very experienced clinicians with a wide variety of individual specialist interests amongst them ultrasonography, orthopaedics, cardiology and ophthalmology. So much experience under one roof means the very best of care for each and every illness. Alison Livesey has held the RCVS Certificate in Surgery since 2000, and Lisa Daniels is nearing the completion of the RCVS Certificate in Small Animal Medicine. Eleanor Farquhar is enrolling for an RCVS Certificate in Advanced Veterinary Practice, aiming to complete modules in both small animal medicine and cardiology. RCVS Certificates are specialist postgraduate qualifications awarded by The Royal College of Veterinary Surgeons, and indicates that the holder is a competent clinician who has proved their experience and expertise by examination in their chosen subject. This means that our patients very rarely need to be referred to specialists which spares them the additional stress and trauma of making long journeys and seeing new faces whilst feeling unwell. Veterinary medicine and surgery has, however, advanced so much over recent years that there may be occasions when we will recommend that your pet’s best interests be served by seeing a specialist. We will make all the necessary arrangements for you. Can you tell me something of the history of Fitzalan House Veterinary Group? Fitzalan House Veterinary Group was established almost 100 years ago, well before it acquired it's current name. The original horse and farm-orientated practice was based in Arundel, and served all the farm and domestic animals in the surrounding area. Mr Angwin, the then Principal, commuted over from Brighton every day and carried out farm calls with his horse and cart. He was succeeded in 1926 by a Canadian Cavalry Officer, Mr. Hill, who presided over the young practice and set up a branch in Littlehampton in 1946. He was joined by Olaf Swarbrick, who later became a partner and renowned poultry expert, in 1950. In 1951 the practice was taken over by Mike Ashton. Ian Hutchinson joined the partnership in 1966. Bill Skelton joined the practice in 1967, at which point the main surgery was located in Surrey House, Maltravers Street, Arundel. In 1970 this farm-based practice decided that with the increasing specialisation and depth of knowledge evolving within the veterinary field, the community would be best served by specialist branches of the original practice. It therefore split into Equine, Farm and Small Animal components. Mike Ashton retained the Equine side, later to become Tortington Equine Clinic, and Ian Hutchinson assumed control of the Farm work. Bill took over the running of the Small Animal side and assumed control of the Arundel and Littlehampton surgeries. In 1972, he purchased outright the goodwill of the Small Animal component of the business. The Small Animal Practice flourished in Mr. Skelton's hands and in 1974 Bill set up a branch practice at Church Hill in Angmering (where it is still situated today). In 1977 the Littlehampton branch moved to it's current site in Fitzalan Road and it was then that it acquired it's current name, Fitzalan House Veterinary Group. In 1979 the Arundel branch moved to River Road. 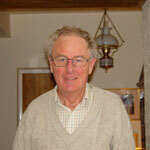 John Wooton had established a Veterinary Clinic in East Preston from scratch in 1962. In 1984 Bill Skelton acquired this clinic, which at that time was located in Sea lane, in a converted stable block. The East Preston Surgery relocated in February 2003 to it's current site beside the Library in The Street. Michael Kingsbury joined Bill Skelton as an assistant in 1988 and then became Bill's partner in 1993. On Bill's retirement in 2002 he became sole principal.